I have always held a fascination for the interplay between death and immortality. Both are solid tropes of the vampire: the immortality that vampires themselves possess, the deaths that sustain that longevity. Who wouldn’t, if given the chance, want to live forever? Yet, it’s always a Faustian bargain, isn’t it? A monkey’s paw pact where the addition of an unexpected condition puts the price for living forever too high, turns heaven into hell. In most depictions of the literary vampire, that price is existence itself: the very trial of remembering countless centuries eventually weighs down on the vampire with a burden of ennui that proves overwhelming. This results in one of the greatest ironies of the modern vampire: possessing the ability to live forever, they grapple with the desire to end it all. Depression and the struggle to find meaning take on new importance when paired against the callous march of centuries. I’m going to admit I’ve always had a problem with this depiction, which implies suicidal depression goes hand-in-hand with longevity. No disrespect intended to the many fine depictions of the romantic vampire that have come before mine, but it’s personally never sat well with me. I grew up in a retirement home. ‘Grew up’ is slightly disingenuous, since I didn’t live there, but my mother worked there (she was a housekeeper) and since she raised me by herself, in lieu of a babysitter she couldn’t possibly afford I spent a lot of free time after school and on weekends surrounded by people who were very old and staring death right in the face. They loved having a child around; most of their own children and grandchildren seldom were. What I learned from those kind souls (besides countless art skills, crafts, sewing, cooking, pottery, and braille – basically anything anyone would teach me) is that there isn’t enough time. There’s never enough time. If they were seventy, they wanted to reach eighty. If they were eighty, they wanted to reach ninety. Sure, there were reasons to settle, to say this is a life lived enough, but those were mostly quality of life issues, not quantity of life causes. Age itself didn’t scare them, but dissolution? Helplessness? That terrified them. These were people who loved life, and they held on with both hands until they made their peace with the final necessity of letting go. I’ve never liked pairing depression with immortality. Just the opposite, really. When I decided to create my immortal race for Blood Chimera (a race which was not human, and therefore not wired for mortality on a genetic level,) it was one of the tropes I decided to throw out. There’s always that next horizon, the new field to learn, the new lover or family or goal. There’s a lot of ways these vampires can die, but one way that it’s highly unlikely they ever will: by their own hands. Mind you, that doesn’t mean they aren’t perfectly comfortable killing each other. Hatreds grow to epic proportions when one has millennia to fester emotions, and some crimes are simply too enormous to ever be forgiven. Some ransoms aren’t meant to be paid. Kidnap and Ransom negotiation used to be straightforward. The bad guys kidnap someone, and K & R expert Jackson Pastor negotiates their release, skillfully traversing a maze of bloodthirsty monsters: criminals, terrorists, police, and especially the FBI. But that was before he met real bloodthirsty monsters. 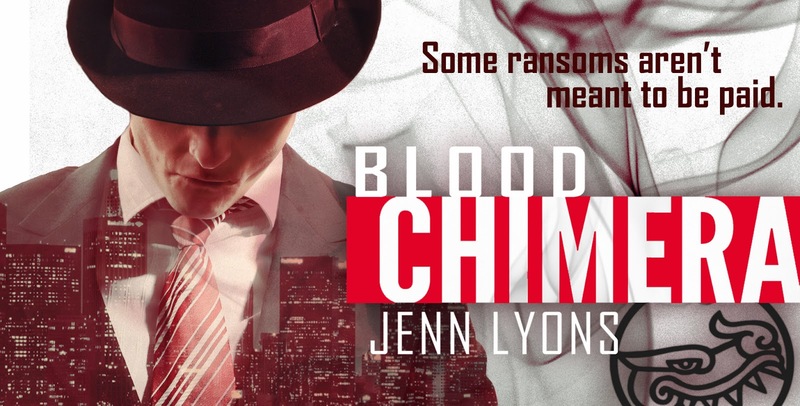 Blood Chimera will be available in trade paperback and ebook via Amazon, Barnes and Noble, Kobo, and other online retailers, and for wholesale through Ingram. 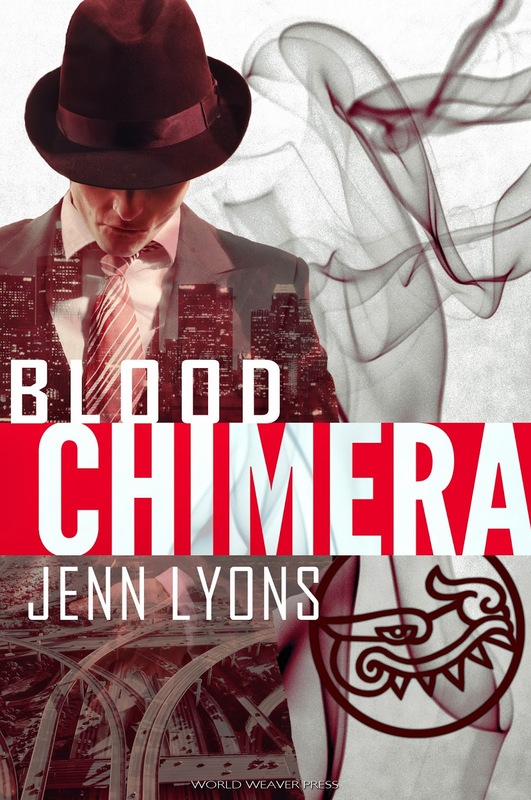 You can also find Blood Chimera on Goodreads.